After a heated debate and a two-week delay, the San Francisco school boardTuesday decided to stick with the status quo, voting to hire 15 Teach for America interns for the next school year, the same number as last year. The vote was a compromise. Superintendent Richard Carranza wanted the board to boost the amount to 24. In 2010, TFA launched a major expansion effort, funded in part by a five-year Investing in Innovation (i3) scale-up grant of $50 million from the U.S. Department of Education. Under the i3 scale-up, TFA planned to increase the size of its teacher corps by more than 80 percent by September 2014, with the goal of placing 13,500 first- and second-year corps members in classrooms by the 2014–2015 school year and expanding to 52 regions across the country. While TFA ultimately fell short of the growth goals set in its scale-up application (Mead et al. 2015), by the 2012–2013 school year, the second year of the scale-up, it had expanded its placements by 25 percent, from 8,217 to 10,251 first- and second-year corps members. In fact, the Washington Post’s Answer Sheet reported that TFA has fallen short 25% on their recruiting recently. As a result— I suspect— TFA has pursued an offensive in California. Not surprisingly this has occurred under the radar without much community input— until word of the attempted expansion has leaked. The offensive has recently come to a head in two Southern California urban districts. 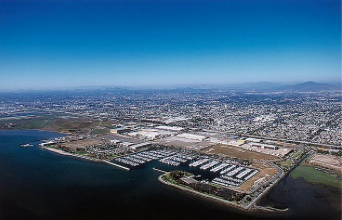 First I will begin with Chula Vista then I will discuss Santa Ana. I wasn’t aware of Chula Vista giving a cold shoulder to TFA until a Twitter follower brought it to my attention yesterday. 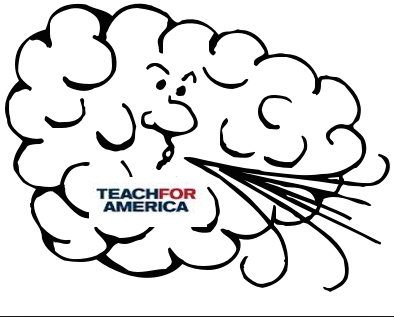 The district agendized a service agreement with the controversial organization Teach For America from July 2015 until June 30 2018. In an April 17 telephone interview, Chula Vista Elementary trustee Reyes had a lot of concerns about the Teach For America contract. Reyes wondered, “Why was this even on the agenda—do we have a teacher shortage? Why are we bringing in non-credentialed teachers with only five weeks of training to get their practice on our kids?” At the April 15 board meeting Superintendent Francisco Escobedo said he recently attended a meeting where people projected a teacher shortage in 2 to 3 years. I am writing to regarding a Board Agenda item up for approval tomorrow night in our district, Santa Ana Unified. 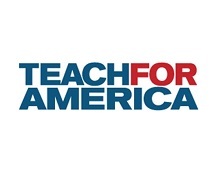 A motion is being made to approve a contract with Teach For America for next school year. For numerous reason, this is a ill advised move for our district. I am told that the intention is to place these minimally trained college graduates (Recent research by Jameson Brewer has found that TFA teachers only spend 18 hours in classrooms during their five week summer training) in our Special Education classrooms. As a teacher for over 25 years working with many Special Education students, I know that what our Special Education population needs is highly qualified, well trained teachers and this is the opposite of what we will get if this contract is approved. As a parent of a Special Needs student in this same district where I work and teach, I would never allow my child to be taught by a temporary and untrained person, she needs a specialist, someone trained in meeting the needs of the most difficult to teach students. The TFA teachers will not be hired if they are not the most qualified person applying for a position. These rumors were spread in our community despite the fact that the actual TFA contract clearly states otherwise. Furthermore, it was very clear that these propositions are a departure from how TFA operates in other districts across the nation. Given the fact that powerful proponents are clearly not going to stop pushing TFA onto the district, I believe that there are very specific research-based components that SAUSD can require from TFA prior to signing a contract with them. It should be remembered that normally operating procedure for TFA is that districts are subjected to a mostly pre-written contract dictated primarily by TFA. Our community can take a stand and ask that Santa Ana principles be written into the TFA contract. TFA recruits will make a five year or more commitment to SAUSD in order to assure that the financial and non-financial investments being made in them by our community is utilized primarily for the benefit of students of SAUSD. The breadth of the research literature demonstrates that on average teachers become more effective over time with proper training and support. Instead of being contractually guaranteed a spot over other applicants, TFA recruits will be required to competitively interview for positions without special preference and must be deemed to be the most highly qualified and trained by building leaders and teachers in order to be selected for a position. TFA recruits will not be guaranteed a placement as has been the case in their contracts signed by other districts. TFA will not charge SAUSD a $2,000 finder’s fee for providing SAUSD resumes for TFA recruits to compete in the hiring pool so that the district can use the funds for other important purposes and priorities. All TFA recruits will be SAUSD alumni to promote school stability, community knowledge and professional longevity. All TFA recruits will be fully certified the day of classroom entry to teach in California schools. Emergency credentials and/or the weak “Highly Qualified” No Child Left Behind moniker will not suffice. Our MOST vulnerable children deserve the MOST qualified teachers. These are the reforms that the TFA must implement for their model to be a viable part of our community instead of perpetuating longstanding challenges in our education system. I think San Francisco, Santa Ana and Chula Vista could be very important in our ongoing national debate about Teach For America. 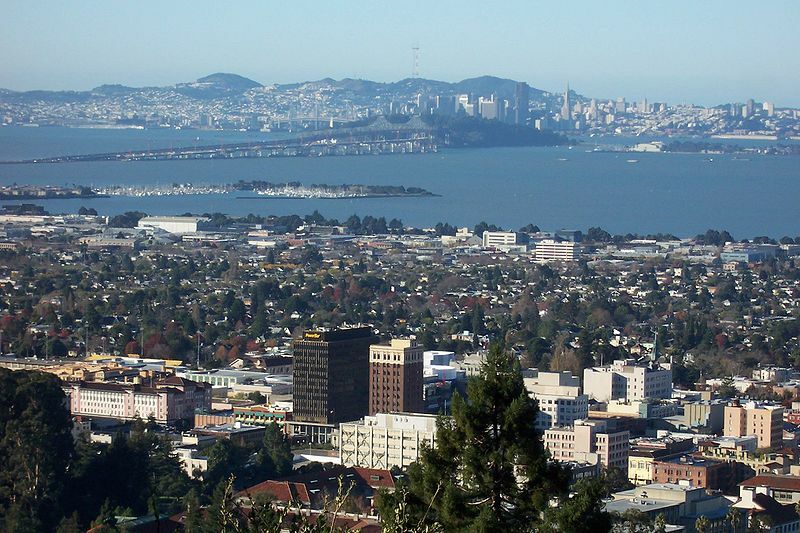 In San Francisco, TFA was dealt a very modest setback as they were not allowed to increase their presence. In Natomas Unified the TFA sell comes in two parts. The district and board move toward a “Declaration of Need for Fully Qualified Educators.” This is a waiver with the Commission on Teacher Credentialing that gives the district more hiring options because they’ve certified they looked everywhere for teachers and couldn’t find some in a few categories. This year the categories are Resource Specialists, and EL specialists. Now the district can get emergency credentials granted. Next they hire TFA recruits. The undertrained interns aren’t being setup to go to a generalized class with mainstream students. The plan is to send the TFA interns into special education where the need for a full credential’s amount of training is even more necessary. The least trained interns will be placed in classrooms with the highest needs requiring some of the most specialized training. The “hard to fill positions” argument was used three years ago when they approved the first TFA contract. The district could have developed better relations and outreach with universities over the past three years to ensure their needs were met, but they did not. My guess is there will be more TFA movement up here in Seattle. The Mayor just recently hired two ex-TFA-ers – one to run the Parks department, the other to run the new Pre-K program. The Aguirres (husband and wife) were most recently in Washington DC, where the husband was a higher up in their Parks department, then was hired to run DC schools. His wife was a principal at Oyster, and was supposedly good friends with Michelle Rhee. We’re anticipating a large number of TFA hires in the pre-K program, and I’m sure the presence of the Aguirres will embolden our ed deform groups, in particular DFER and LEV, to push for more TFA and charter schools in Seattle. Prior to moving to DC, this couple ran a charter school in Arizona that was closed down for poor performance, improper reporting/use of federal funds, and financial issues. Did we score ourselves an Ed Deform power couple or what? Next step – mayoral control of schools, and then Seattle can really join the big boys of ed deform.